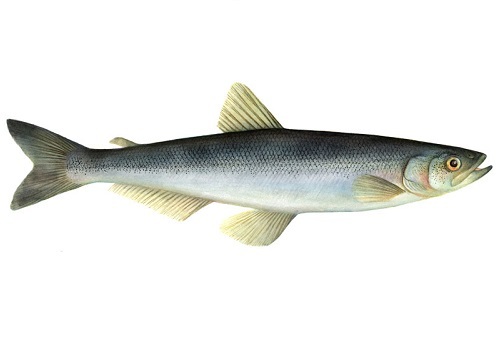 Eulachon are a small, anadromous smelt that are native to the Northwest Pacific coast. The eulachon are of traditional and cultural importance to the First Nations community who have fished the species since before the 1800’s. Peak landings of eulachon occurred in Nass and Fraser Rivers in 1900 and 1950. In the last 30-40 years, populations of eulachon have been in steep decline. Eulachon have life history characteristics that make them resilient against fishing pressure. Despite their life history, two populations of eulachon are endangered in British Columbia (Fraser and Central). No commercial or recreational fishery exists for eulachon, and fishing is only open to the First Nation community. Population status is still low despite the small scale of the fishery. This may be due to factors such as pollution, environmental shifts, habitat degradation, mortality due to being caught as bycatch, and predation. Management has been ineffective in planning or applying a recovery plan. Almost no bycatch is caught. Seine nets and conical nets are highly selective, and the fishery is open for a very short period of time in early spring, during spawning.Seine and conical nets cause moderate impacts on the habitat. Eulachon are an exceptional species, i.e. the role that they play in the ecosystem is disproportionately large compared to their biomass. Research is being done to study the functions of the eulachon in the ecosystem.